Whether you noticed or not Deep learning is one of the most promising artificial intelligence topics. Its functionality is inspired by the brain’s neural network and it gave outstanding results in many areas: computer vision, natural language processing, speech recognition and more. 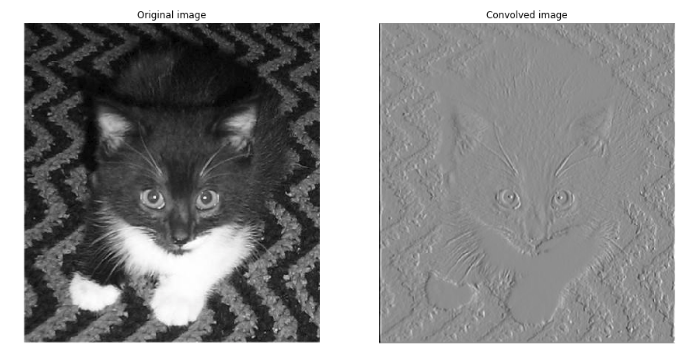 Thanks to DL, we can now develop a simple script which recognizes faces in photos, classifies an image as a “cat” or “dog”…Hope you believe me when I say that there are deep-learning networks which can “create”(or better say generate) human-like faces!!! 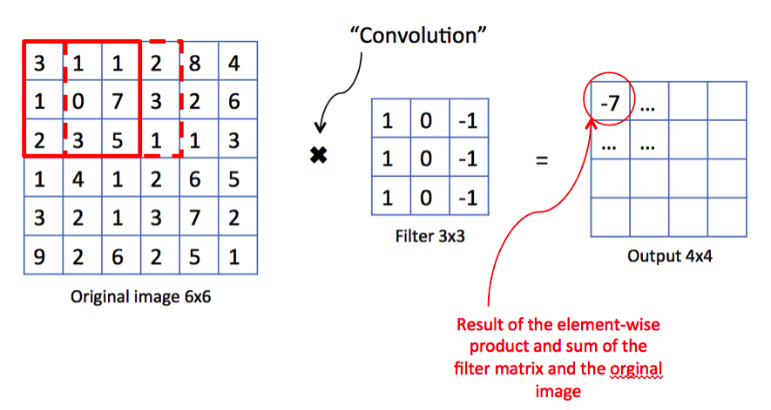 When dealing with images, we always hear this term “Convolution Neural Networks” and yes CNN are (until now)the best architecture for image processing. So what are CNN? and in how they differ from ANN? To easily understand what this layer does actually, think of the case when we have to distinguish whether an input image is a cat or a dog. How would a human being differentiate between a dog and a cat? Its role is to extract these features!! You would wonder: OK this is really great, but how??? As you saw in the above image, CL does not only extract important features but also it decreases the input size without losing “pertinent” information. So, now we have a new matrix containing the extracted features,BUT!! Don’t forget that we are working with images here, and the matrices representing them are huge in size so even after the CL we would have an enormous matrix that we would like to reduce and even extract better and more pertinent features, and here comes the role of the “Pooling Layer”(PL). The role of PL is easier to digest, as I said it serves to extract important information from the output matrix of the CL.The idea is soo simple we take a square window (generally 2*2 or 3*3) and slide it over our matrix and in each time we only extract one special value. For the first iteration we have four values : 4, 6, 1 and 3. The max is of course 6 so we keep and move the window and so on until we reach the end of the matrix. Next we find a “Fully Connected Network”(FC) which is nothing more than a traditional Neural Network which takes the the output of the PL layer and tries to compute the best predictions. And what it basically does, is that it transforms the output matrix from PL into a vector of features which will be then feeded to the FC. Fully Connected Network: a normal Artificial Neural Network taking the feature vector as input and outputing a predicted vector. I am still a beginner in this field, so if some how I made an error I apologize in advance, also if you have any comments it would be very valuable for me so I can improve my future articles.